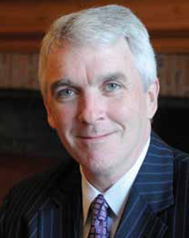 Director, Yale Cancer Center and Physician-in-Chief, Smilow Cancer Hospital at Yale-New Haven. Pioneered the use of molecular testing for mutations in the epidermal growth factor receptor (EGFR) gene to select patients who can benefit from targeted lung cancer therapies. Internationally known for his leadership in the development of novel therapies for the treatment of lung cancer. Pioneer in the field of personalized medicine.